For the duration of this year’s Hay Festival, 24th May – 03rd June 2018, we are pleased to be able to make a very special offer. 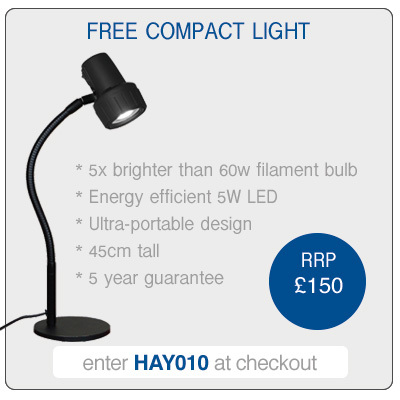 For this limited period only,when you order a Serious light, you can choose to receive either a FREE Serious Compact light (RRP £150) or a FREE Serious Reader’s Tool Pack with £150 of bright ideas no serious reader should be without. This offer can only last until the festival ends on 3rd June – so don’t miss out. For the duration of this year’s Hay Festival, 24th May – 03rd June 2018, we are pleased to be able to make a very special offer. 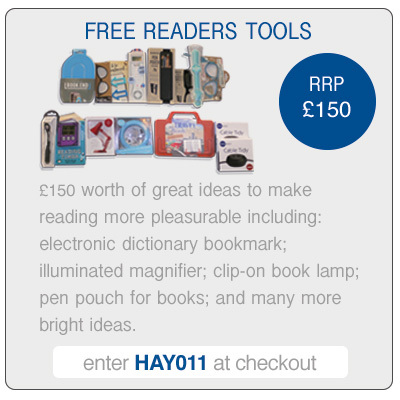 For this limited period only, when you order a Serious light, you can choose to receive either a FREE Serious Compact light (RRP £150) or a FREE Serious Reader’s Tool Pack with £150 of bright ideas no serious reader should be without. This offer can only last until the festival ends on 3rd June – so don’t miss out.